Millions of patients worldwide have enjoyed the benefits that dental implants have to offer. In the past, precise implant placement could only occur after visualization of the jawbone during surgery. Advanced dental technology now makes it possible to not only identify important orofacial landmarks, but also to develop a precise treatment plan before the first incision is ever made. Here, our team at Signature Smiles in Woodinville, WA discusses CT scans for implant dentistry, and how innovative diagnostic imaging is taking the guesswork out of accurate implant placement. For years, the only diagnostic tools available for dental implant assessments were 2-D x-rays and panoramic radiographs. While these types of images are excellent for detecting cavities and identifying other types of dental anomalies, they do not offer a great deal of precision when evaluating bone levels. When placing a dental implant, bone density is incredibly important, as the post must be embedded in a strong foundation. 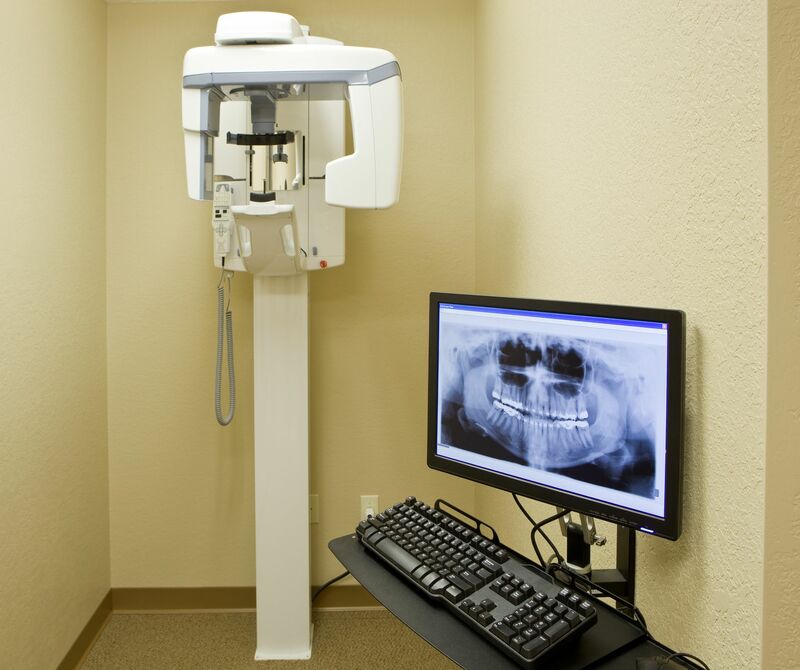 A cone beam CT scan can help your dentist visualize jawbone density with remarkable accuracy. Two large nerves run along the mandibular jaw. Interfering with these nerves can lead to paresthesia. Therefore, avoiding these landmarks is crucial for the long-term success of dental implants. A cone beam CT scan can not only help your doctor locate and visualize the mandibular nerves, it can tell him or her, with great accuracy, how much space is available from the top of the jawbone to the nerves. In the same way, a CT scan can reveal the exact location of the maxillary sinuses. If you are considering having implants placed in the back of the upper jaw, they must not interfere with the sinus cavity. Therefore, a CT scan can help your dentist determine if any bone graft or sinus lift procedures are necessary prior to implant placement. In addition to detecting anomalies and identifying structures, CT scans also help your dentist plan your entire treatment case, from beginning to end. By measuring the amount of viable jawbone, he or she can determine the appropriate diameter and length for your new implant. In fact, a virtual implant can even be placed within the CT image using our revolutionary software. That way, your doctor will know exactly how the implant should be positioned for optimal results. In many cases, your dentist will use this type of technology to fabricate a custom surgical guide, which can be used during your surgery to highlight the exact location in the jaw in which the implant should be placed. Many patients are concerned about radiation exposure, and understandably so. Today’s digital x-rays and CT scans emit 90 percent less radiation compared to traditional 2-D film radiographs. At Signature Smiles, we will never recommend x-rays or CT scans unless they are absolutely necessary. Therefore, rest assured you and your family will be receiving safe and effective treatment while under our care. Cone beam CT scans have vastly improved the field of implant dentistry. If you are considering teeth replacement using dental implants, schedule a consultation at Signature Smiles. Our doctors can design a fully personalized treatment plan based on your unique dental needs. Contact us online anytime or call our office at (425) 489-1177.